Nearly 450 cadet and adult drummers and musicians from 30 Counties attended the Cadet Force Music Camp at Longmoor, Hampshire over the October Half Term. Cadets from all parts of England, Wales, Scotland and Northern Ireland enjoyed expert military musical tuition, together with traditional cadet training, including target shooting and sports competitions. The camp was divided into training wings to suit all abilities - from beginners to the most experienced musicians, with Band, Corps of Drums and Bugle sections to ensure that cadets received training according to their needs. As a result, many cadets achieved APC Music Star Awards, as well as passing stages of the Duke of Edinburgh's Award and BTEC (Music). There was also Adult Music Training, which proved to be a great success, with officers and adult instructors developing new musical skills. During the camp, the senior cadets organised and delivered a Drums Retreat Parade and Band Concert at a local retirement home, Shannon Court. This was extremely well received by the residents and was part of the 4 Star Drum Major / Bugle Major Course and BTEC. 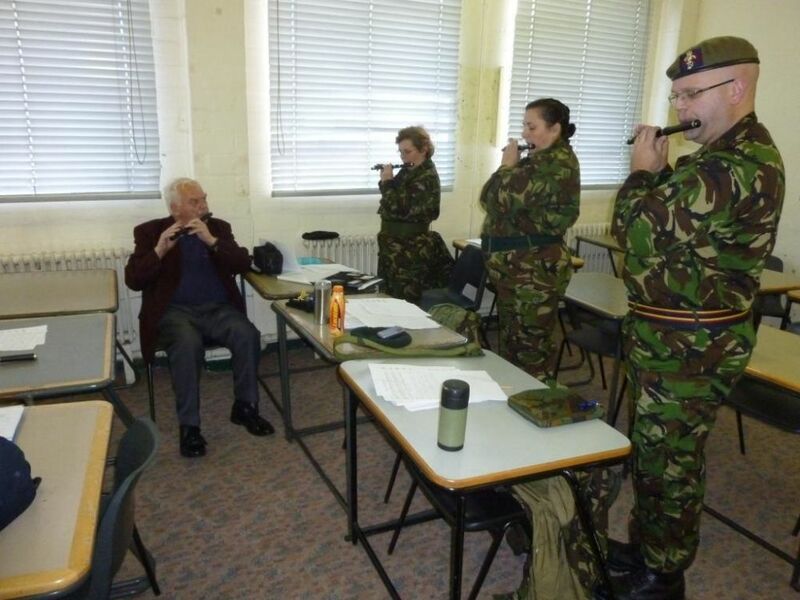 A major part of the course was devoted to bugle training for forthcoming Remembrance Sunday parades across the country, where local communities will be relying on cadets to play Last Post and Reveille. Lt Col Mike Neville, National Training Officer of Cadet Force Music said, "Cadets playing bugle calls on Remembrance Sunday is a highly visible way of demonstrating to local communities the value of the Army Cadet Force." The last night of camp was a contemporary music competition, the "Tex Factor" - named after the National Music Advisor, Maj Tex Calton. A splendid evening was had by all, with further hidden musical and singing talents being discovered. The final parade was a concert demonstrating all levels and types of music practised during the week and was inspected by Colonel Crichton Wakelin from HQ LAND. The final tune was "Farmer's Boy" - the Regimental March of the Inspecting Officer. Colonel Bob Jammes, Colonel Cadet Music observed, "Music in the ACF continues to grow and it is wonderful to see cadets and adult instructors from all over the country working together. Our APC, Duke of Edinburgh's Award and BTEC results continue to improve and this is great for cadets." The next music camp is at Altcar Camp, Merseyside 31st March - 7th April 2012.